We don’t just make great products, we build great partnerships. We want every step of the Pactics process to be simple and straightforward, and collaborative with our partners to meet their practical, branding, and logistical requirements. Pactics was built around a solid set of 4 core values. Commitment to these values informs every aspect of our work, and is intrinsic in making Pactics the company it is today. We prioritise the social and environmental impact of manufacturing. The needs of our planet and our people – partners, consumers, and staff – are of primary importance to our business. We understand the importance of brand security. Our commitment to responsible business practice guarantees we deliver high-quality products in an ethical and environmentally friendly way. We believe the best results are achieved through collaboration. Being responsive and versatile allows us to build strong partnerships and work together to create valued products. We know the value of being at the cutting-edge. By investing in knowledge, we are able to offer our partners creative product solutions that meet practical needs and further brand identity. Knowing that in-house production would give us greater control of product quality and supply chain management, we began by establishing a small 15-person factory in Shanghai, China, which soon expanded to 65 employees by 2009. Spurred on by our founding ambitions, we set up a pilot plant with a small team of staff in Siem Reap,Cambodia, in 2010. 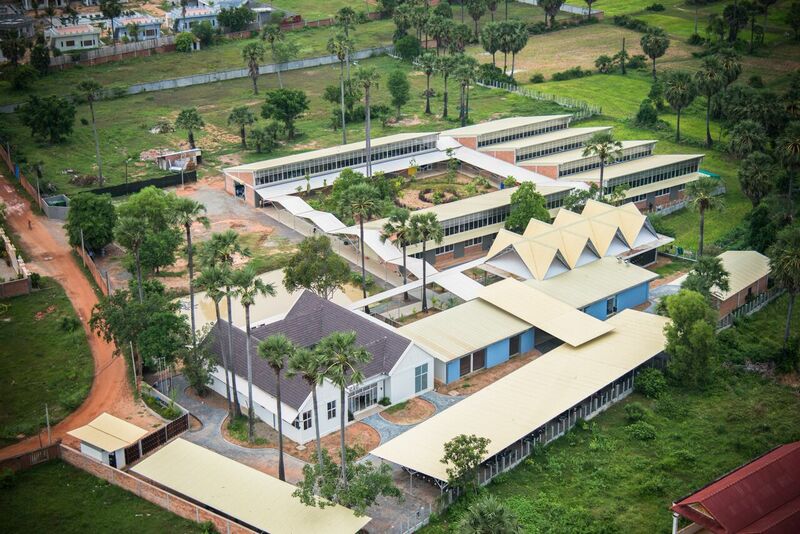 Today, our facility in Siem Reap employs 400 full-time Cambodian staff. The Siem Reap factory also houses Shanghai Pactics’ product development center. In this center we continue to develop ground-breaking technologies and production techniques which allow us to offer unique, quality product solutions to our partners. Ever thought about working in a low-cost factory in Southeast Asia? Doesn’t sound too appealing, does it? You have all the right to believe that. Southeast Asia’s production industry has a bad reputation if it comes to fair wages, labor rights and environmental responsibility. Human Rights Watch documented labor rights abuses such as forced overtime, lack of rest breaks, denial of sick leave and use of underage child labor in the Cambodia’s production industry in 2015. My confrontation with this distressing reality came when I was looking for an internship to conduct my Bachelor’s Thesis. I met Piet Holten, Founder and President of Pactics Co. Ltd, who passionately explained me the mission and vision of his organization in Cambodia. The story of his organization doing this differently made me realize I wanted to contribute to this company. Six months after the meeting I am back in the Netherlands again. What a great experience it was to have been part of an organization that contradicts all the negative facts about the production industry in Southeast Asia. Founded in 2004, Pactics Co. Ltd is a company that engages in design and manufacturing of cloths and pouches for luxury eyewear brands. Its mission is simple, yet strong; “to create a decent company that offers competitively priced, high-quality microfiber products in an environmentally and socially responsible way.” Though this sounds simple, Pactics’ business model is innovative in a low-cost focused industry. It performs as the ultimate NGO; without governmental sponsors Pactics manages to make profit in a real competitive world, whilst making a sustainable difference for its employees and the environment. 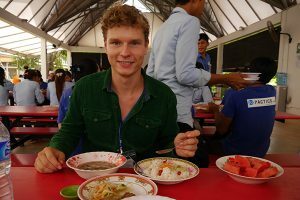 Written by Jasper van Ooijen, Bachelor student Industrial Engineering at Eindhoven University of Technology and Pactics Campus Ambassador. So what does this ‘sustainable difference’ mean? Let’s zoom in on social responsibility. First comes the location of the factory. 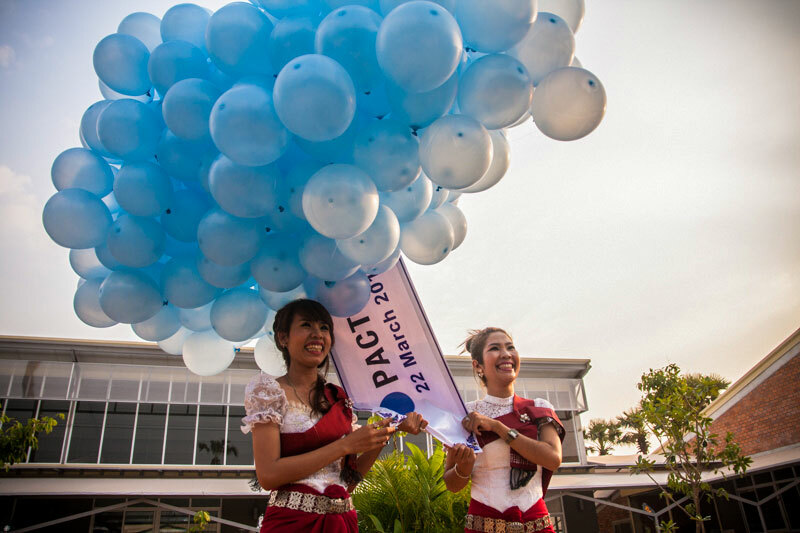 Pactics is located in Siem Reap, which is the small and lively version of its big brother Phnom Penh. Whereas Siem Reap is famous for the Angkor Temples, Phnom Penh is the capital and the industrial heart of Cambodia. Observing this difference, Holten came to understanding loads of people have to leave their families on the countryside to make a living in the factories in Phnom Penh. This made him decide to open a factory in Siem Reap, which was one of the first large scale industrial projects in the Siem Reap Province. “Bringing the factory to the people, instead of the people to the factory”, is the thought that currently creates work for over 350 Cambodian employees near their homes. remuneration. Complementary to SA8000, Pactics offers its employees an extensive program of trainings, subsidized lunch, subsidized motorcycle helmets, a daycare for the employee’s young children, annual company trips and scholarships among employees for Bachelor and Master degrees. “Pactics is the factory with 400 smiles. Pactics teaches people to share kindness and to volunteer in society. This is what I found important”, says production manager Sony. From an environmental point of view there are three main components that aim to minimize impact on the climate. The production facility in Siem Reap has its own water purification system which cleans rain and ground water for own usage. Additionally, electrical usage is minimized by the open design of the buildings and by generating own electricity through solar panels. Lastly, scrap projects such as crochet and recycling initiatives aim to minimize waste. Pactics partner organization SCRAP siemreap uses scrap microfiber strips to produce crochet baskets, placemats, wine holders and carpets to be distributed throughout the world. No scrap stays untouched, since the rest of the scrap material is bought by a plastic producer who processes the microfiber into recycled plastic goods. Living in Cambodia made me realize our European standards are not ‘standard’ at all. I have seen workers been pushed into trucks like cattle, knowing they will be transported to their filthy factories where they have to work 12 hours a day for a less than minimum wage. Pactics’ way of business may seem normal to us, yet it is extraordinary in the context. The secret of how it’s done? It is the people that do it. I have never experienced employees so proud to work for their organization as here. 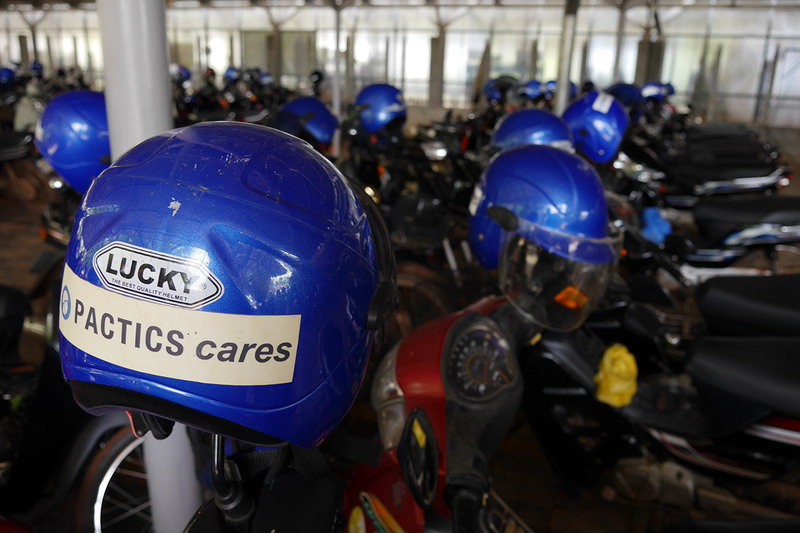 Employees refer to their colleagues as Pactics family, no motorbike can be found without a Pactics sticker and every week multiple football teams are battling to become Pactics’ number 1 football team. Investing in human capital enables to prosper in a high competitive market. In my Bachelor’s thesis I examined what can be improved in the efficiency and effectivity of Pactics’ activities that aim to enable and stimulate its organizational members to develop themselves and the organization. The current systems Pactics uses to facilitate human development include trainings, human performance measurement, Corrective Action Request (CAR) meetings, health and safety meetings, worker representative group and KPI meetings. Through in-depth interviews, focus groups and observations I drew recommendations to improve the individual, team and organizational levels of learning. Training employees and improving processes recently led to earning the ISO9001 certificate, which is an international norm for quality management. My thesis got graded with an 8.5/10! A future challenge for Pactics lays in inspiring others to do business in a responsible way too. 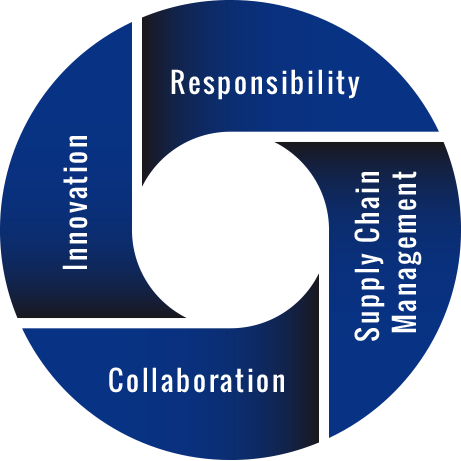 Direct influence is realized through supply chain management, in which only like-minded suppliers are chosen to deliver under zero-tolerance policies. Indirectly Pactics leads by example and hopes to create change in the production industry. Working in Cambodia showed me it is really possible to improve people’s lives, take care of the planet and still make a good living. It convinced me to prioritize these values in any of my future challenges. Not convinced? Go off the beaten tracks and see for yourself.